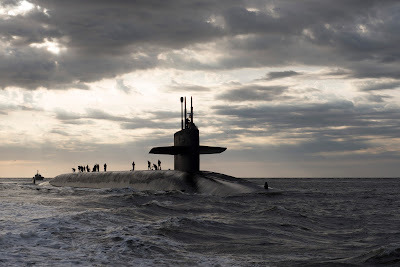 I never served on a submarine, but I did serve two years on a Navy harbor tugboat at the U.S. Navy nuclear submarine base at Holy Loch, Scotland. So I know a thing or two about submarines. Navy Live offers ten things about submarines. Happy birthday to our Silent Service! 117 years ago today, John Holland sold the 64-ton submersible Holland VI to the Navy, marking the beginning of our submarine force. Several months later, the submarine was commissioned as USS Holland (SS 1).